If you think our Birdorable birds are cute as adults, what about when they are babies? 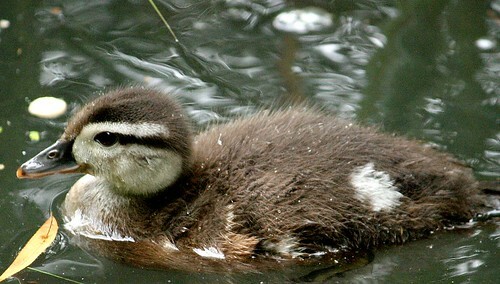 Below are some baby photos (shared via Flickr) of the Wood Duck. 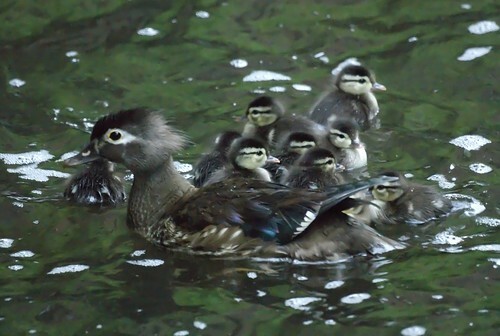 You may be surprised to learn that Wood Ducks nest in trees! They are cavity nesters, and will use old tree cavities dug out by other birds, or nestboxes built just for them. 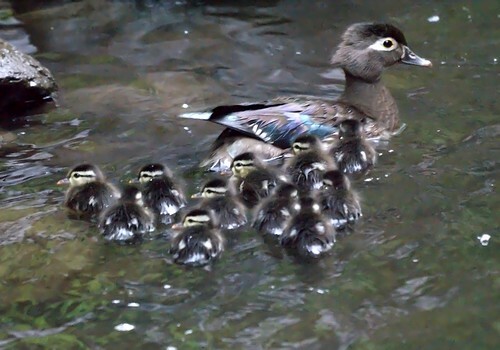 Shortly after the ducklings hatch, the mother duck flies out and coaxes the babies to jump down from the nest and join her in the water. Pretty cute, right? 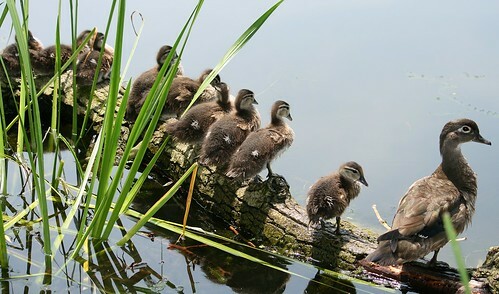 Be sure to check out our Birdorable Wood Duck t-shirts and gifts!